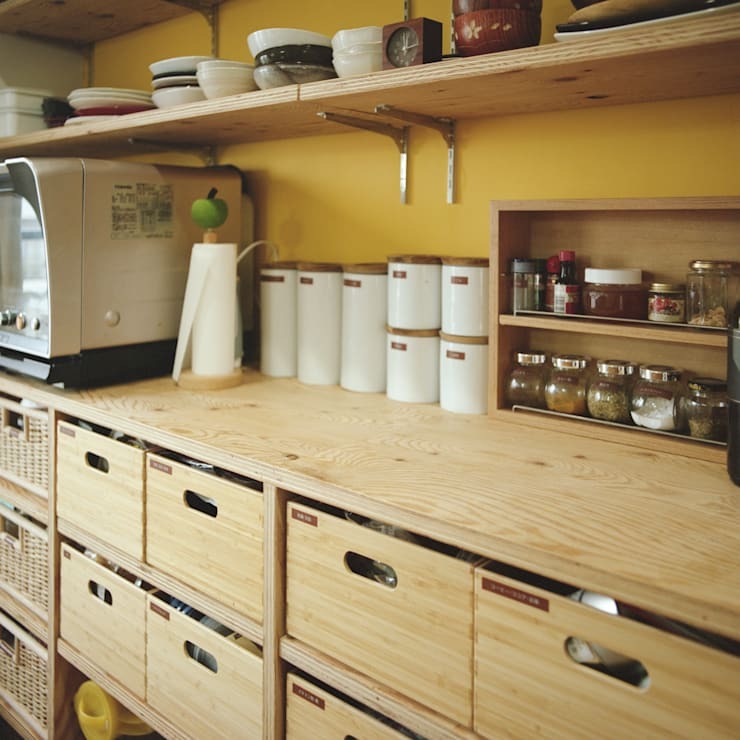 We don’t really need to emphasise how essential storage space is in any kitchen. Whether you're looking to store pots and pans, spices and condiments, cutlery, dinnerware or even dishcloths, adequate space for organisation is necessary. From shelves to drawers to cupboards, there are so many options for you to choose from. But what should you pick? Here are six genius ideas for storage in your kitchen. Take a look and get inspired! 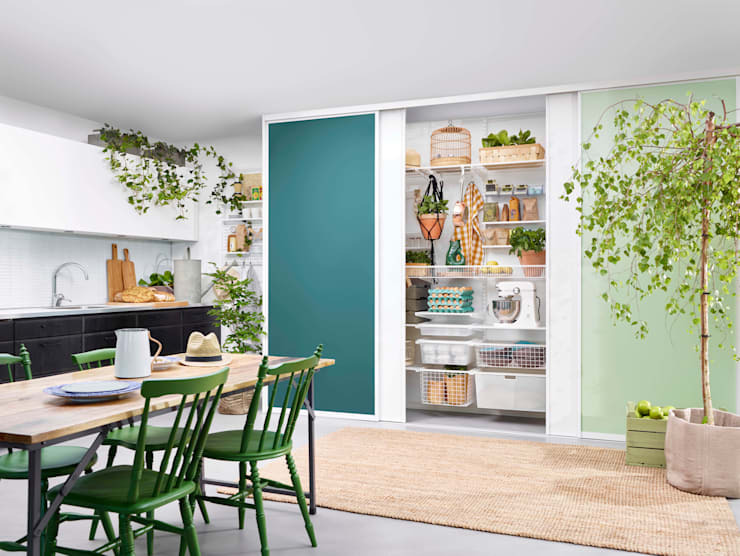 A sliding door is the perfect way to hide away all your excess stuff. 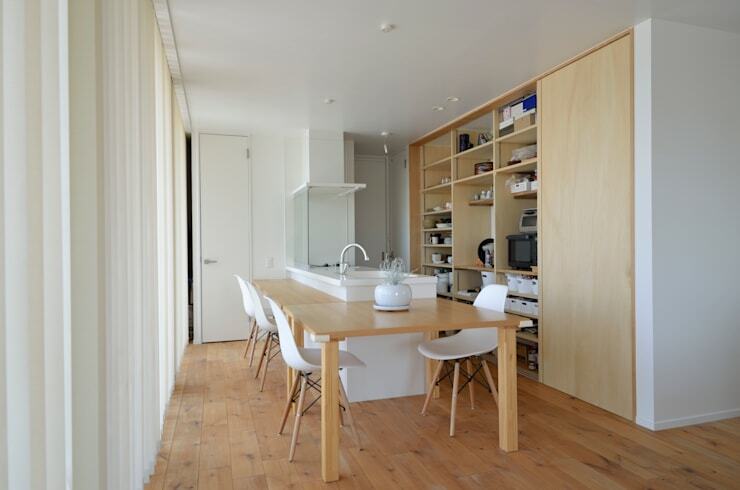 Instead of a pantry or cupboard, you can pick one wall and install shelves along its length. Use a sliding door to access them quickly and easily. The best way to integrate it into your kitchen’s design is by using a solid colour, which matches with the kitchen’s colour scheme and yet stands out from the rest of the elements. The furniture and accessories of this beautiful kitchen were supplied by Elfa Deutschland GMBH. You can never go wrong with wood, especially in the kitchen. Wood offers texture and a rustic feel to your kitchen. You can create open shelves using sleek wood panels or go for neat drawers. The best way to incorporate this into your kitchen’s design would be by ensuring that the rest of the kitchen has elements of wood as well. Depending on what you want to place on the shelves, divide them by length, by placing wooden planks at different heights. What if you could store every condiment and spice bottle you own in one place? Well, this storage solution does just that for you! This design utilizes the doors by putting in racks to hold spice bottles. 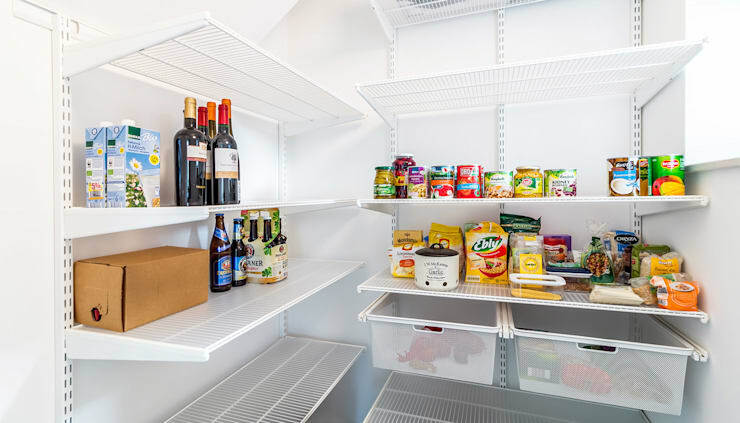 The actual storage holds different condiments, such as jams and sauces, and even has space for a microwave. This simple idea is definitely worth implementing in your kitchen. One very easy and common solution is to use simple wire shelves. These shelves can be found just about anywhere and installing them is hassle-free. Not only that; these shelves are hardy and come in different sizes. So whatever you want to store, whether it's cereal, grains, flour or wine, these shelves are perfect! Built-in furniture is the epitome of modern design. Not just the bedroom—even the kitchen can now feature built-in shelves to store all equipment and groceries. For built-in kitchen shelves, the right time to incorporate these would be during the design stages. Inbuilt shelves provide you with a large cabinet that can be divided into several layers. If you have a smaller kitchen and are stuck for space, wall-mounted shelves above the kitchen counter work really well. You can also use space below the kitchen counter as a storage area by dividing the space into two zones. 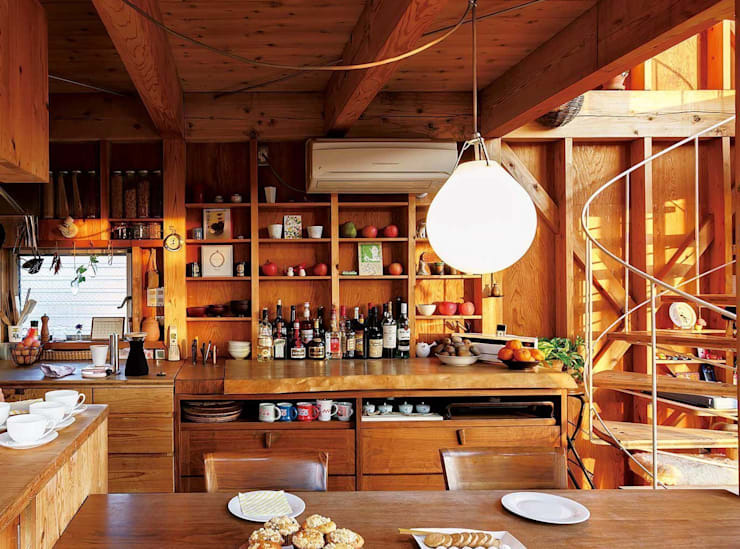 The overhead shelves can store pieces, crockery and other necessary things you use during meals. The storage below can be used for things such as extra condiments and groceries. We hope you liked our kitchen storage ideas. Let us know which one you would pick for your kitchen! For more inspiration, check out another Ideabook: 12 bright ideas every kitchen needs. Which of these storage ideas would you pick?